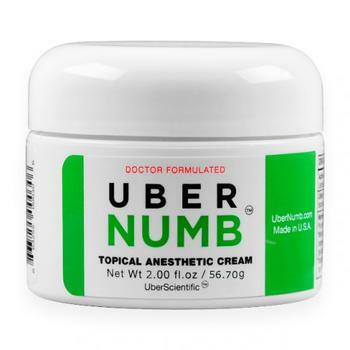 UberScientific of Kissimmee, Fla., is recalling about 76,000 packages of Uber Numb topical anesthetic cream and spray. The packaging is not child resistant as required by the Poison Prevention Packaging Act. The products contain lidocaine, posing a risk of poisoning to young children if they put it on their skin or ingest it. This recall involves UberScientific Uber Numb Topical Anesthetic Cream and Uber Numb Spray. The recalled cream is in a white jar with a smooth, rounded cap and a green label with “Uber Numb Topical Anesthetic Cream” printed on the front. It was sold in one, two and four ounce sizes with the lot numbers printed on the bottom of the jar and the UPC number printed on the label to the left of the product name. The brand name UberScientific is printed on the label below the net weight. The recalled spray is in a green bottle with a white cap and has a white label with “Uber Numb Spray” printed on the front. It was sold in four ounce size with the lot numbers printed on the bottom of the bottle and the UPC number printed on the label to the right of the product name. The brand name UberScientific is printed on the label to the left of the product name. The cream and spray, manufactured in the U.S., were sold online only at Amazon.com and Uberscientific.com from February 2017, through April 2018, for between $20 and $40. Consumers should immediately place the recalled topical anesthetic out of reach of children and contact UberScientific for instructions on how to receive a free replacement or full refund. Consumers with the recalled cream can receive a free replacement cap that is child-resistant. Consumers with the recalled spray can receive a free replacement cream with the new child-resistant cap or a full refund. Consumers may contact UberScientific toll-free at (877) 289-1367 anytime or online at www.uberscientific.com and click on “Recall Information” for more information.